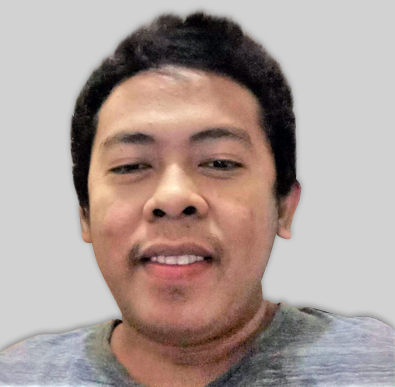 How to limit form submissions to specific time frame? Can I restrict the hours in the form? For my restaurant I would like to give the possibility to make prenotations only from 11-23 hours. I would just like to confirm if I have understood you correctly. You would like to limit the submission to be only possible to be made when time is between 11AM (11) and 11 PM (23). If that is true, than this is very simple to do with the use of conditions. 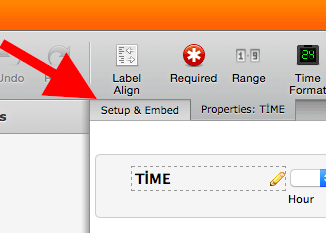 All that you need to do is to add the Time field from Quick Tools menu to your form and set the default time to be current time. 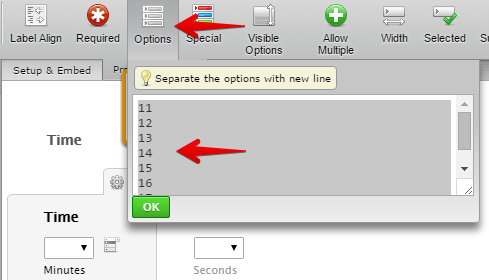 The setup is always in 24 hour format no matte what format you opt for in the toolbar for. It will activate the conditions based on the current time, so I have left the fields as non hidden for you to be able to change the time and test it out. Thank you for the answer. I understand, that my english is not the best... ;-) It's not what I'm looking for. I wanted to restrict the hours in the pop up of the the time. Now the pop up shows the time to choose from 0-24 hour. (Screenshot attached) I would like to restrict this to 11-23. Is this possible? Thanks for your clarification @JP. 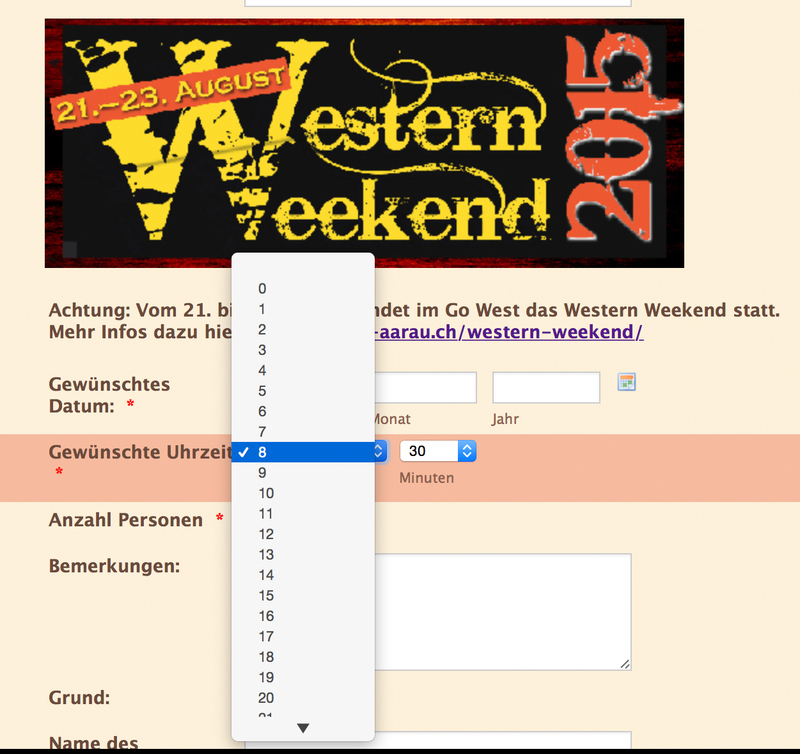 I see what you mean but unfortunately it is not possible to edit the time values on the time field. 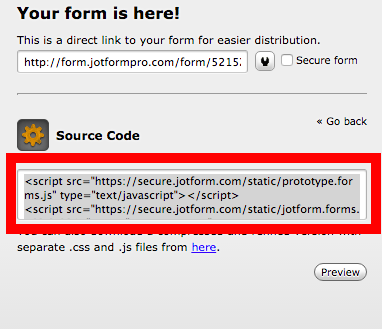 You can however achieve this when you use your form source code and remove these options on the source. 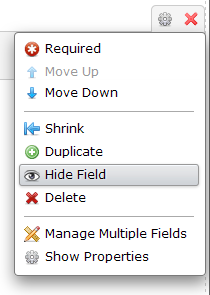 Another workaround is to use two dropdown fields and shrink them. Then define the values on each of the dropdown fields. 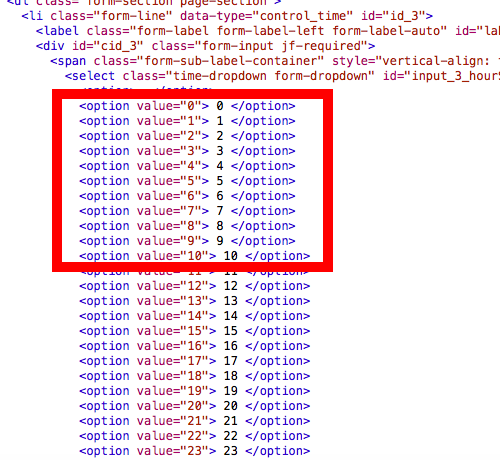 If you want to proceed with using the two dropdown solution, this requires custom CSS codes to tighten the two fields and to remove the field label on the second dropdown. If you need help with this, feel free to let us know here so we can assist you further. One solution would be copy the full source code directly to your website, and then remove those options from the drop down. 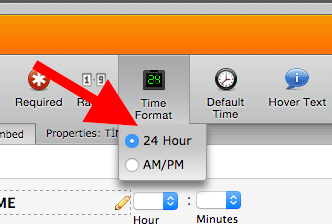 1) Click on "Time Format" and choose "24 Hour option"
2) Click on "Setup & Embed". 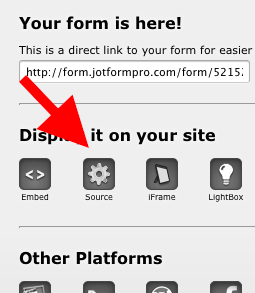 3) Click on "Embed Form"
4) Choose "Source"and click on it. 5) Copy the code from "Source Code" and paste the code to any text document. 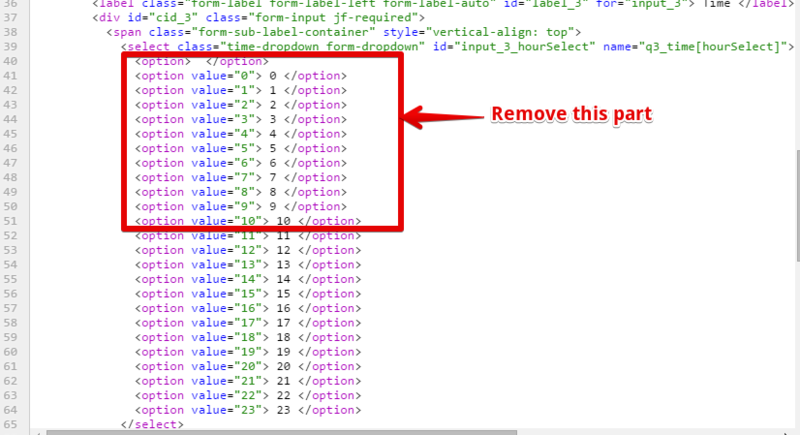 6) Delete these rows from the code. 7) Save it on your website. GREAT! The embed solution works great, thank you very much for your help!